Get Insured With TradeWise Today! One Sure are proud to work with Tradewise Insurance to bring our customers better Motor Trade Insurance. Tradewise only offer their products via insurance intermediaries such as ourselves, and take pride in the strong working relationships they develop. They specialise in Motor Trade Insurance and are more likely than most others to offer cover in high-risk situations, whilst being more flexible yet specific when it comes to the cover they provide. 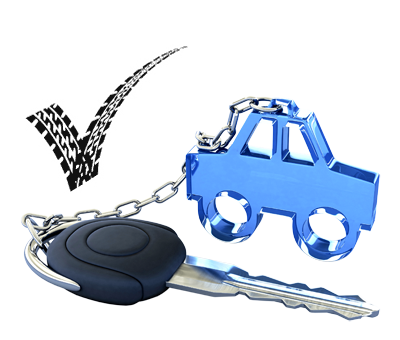 Motor Trade Insurance is specialised cover for those who work within the Motor Trade, be it buying and selling vehicles, mechanical repairs and servicing, or even as a parts dealer for example. It can also be known as Road Risk insurance, that simply provides the insured with cover to drive customer’s vehicles or cars that aren’t necessarily owned by them. TradeWise are often one of the cheapest underwriters on the market, and we are able to source quotes from them for a variety of industries and job titles. Whether you work full-time or part-time in the motor trade industry, we can use TradeWise to put together a competitive third party or comprehensive policy. You'll benefit from easy MID updates and 6-days-a-week customer service from One Sure. Why Choose One Sure for Tradewise Insurance? At One Sure, we like to run through every detail of your policy to guarantee that you’re getting the cover you not only want, but need. Our professional, experienced sales advisors will take you through all the options you have, and take them into consideration whilst keeping the price down to something you can afford. Once you do take out a policy with us, you will have access to our vast range of optional extras than can be included with your policy, such as Legal Assistance, or Two Months Free Breakdown Cover to improve your experience even further. Our dedicated Customer Service team is open 9am until 5:30pm Monday to Friday to answer any questions you may have or deal with any possible issues, and also open on Saturdays from 9am until 2pm so you can get in touch with us out of regular office hours. On top of that, we have a 24-hour claims line who can be reached regardless of the time and the circumstances. If you would like to speak to us about our reliable Motor Trade Cover from Tradewise Insurance, please call us today for free on 0800 107 1260 or try our mobile friendly number 0330 100 9093 which uses normal minutes at the standard UK rates. If you do not wish to call us, or would prefer us to call you instead, simply fill out our online quotation form and we’ll organise a call back as soon as we can from one of our advisors.